This page summarizes our selected professional activities over the last few years. 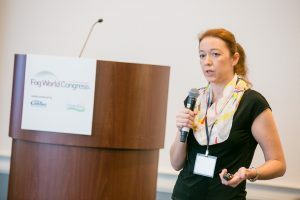 4/16/2019: Prof. Gorlatova is giving an invited talk titled “Edge Computing for Augmented Reality in the Wild” at the inaugural Edge: Intelligent Compute from Device to Network track of Bio-IT World Conference & Expo in Boston, MA. 3/26/2019: We are excited to welcome 3 PhD students to the lab. Ying Chen, Zhihe Zhao, and Timothy James Scargill will be joining the lab in Fall 2019. 3/1/2019: We are pleased to have 3 Research Experience for Undergraduates (REU) students joining the I^3T Lab in the upcoming summer. Courtney Johnson, a junior in the North Carolina A&T State University, will be joining the lab as a Grand Challenges in Engineering NSF Fellow at the Pratt School of Engineering. Jovan Stojkovic, a junior at the University of Belgrade, and Davielle Matos, a junior at the University of Georgia, will be joining the lab as Duke ECE REU Fellows. 2/11/2019: Prof. Gorlatova gave an invited talk at the Technology Working Group meeting of the Industrial Internet Consortium. 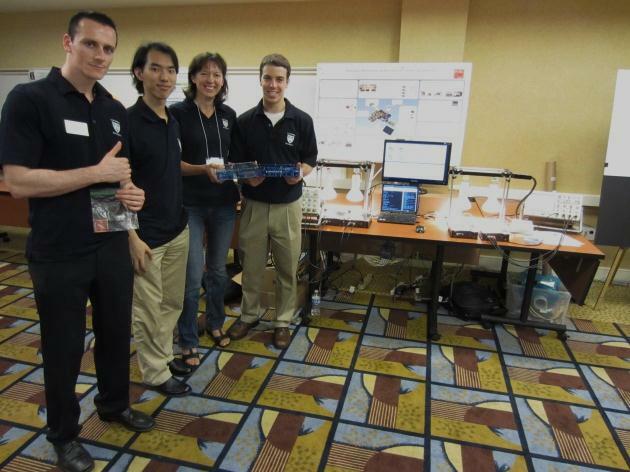 1/25/2019: Michael Glushakov, Duke ECE/CS’21 student, presented his work on collaborative edge-supported augmented reality at the 2019 Duke Spring Engineering + Computing Showcase. The showcase was attended by the representatives of 11 industry organizations including Google, NVIDIA, ConnectWise, Stryker, and Palo Alto Networks. 11/27/2018: Prof. Gorlatova attended the 2018 Facebook Connectivity Lab Research Workshop in Menlo Park, CA (invited participant). 10/15/2018: Duke University I^3T Lab is pleased to welcome Dr. Guohao Lan, who will be starting his postdoctoral scholar position in the lab in November 2018. 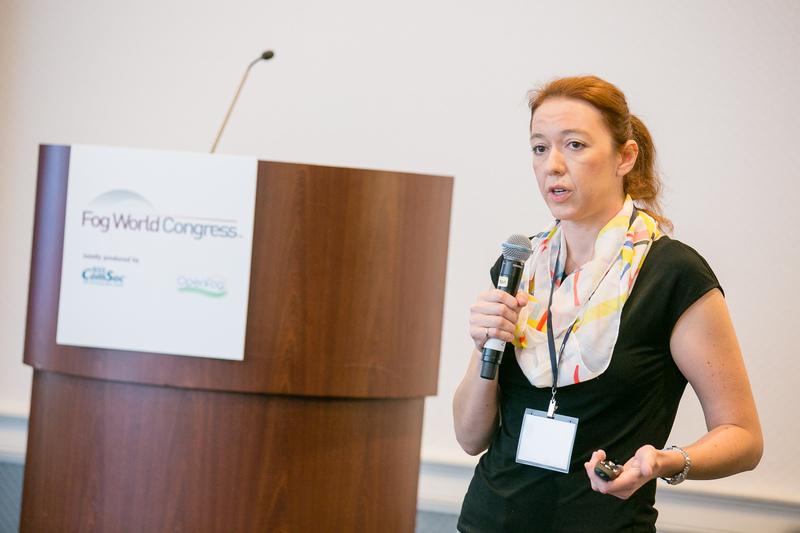 10/01/2018: Prof. Gorlatova gave an invited talk at Fog World Congress in San Francisco, CA. The key messages of the talk were summarized in the Network World article Augmented Reality, Fog, and Vision: Duke Professor Outlines Importance of Smart Architectures. 09/25/2018: Prof. Gorlatova gave an invited talk at the IEEE Sarnoff Symposium in Newark, NJ. The slides of my talk, titled Towards Intelligence on the Edge: Restructuring Computing to Enable the Next Generation of the IoT, are available here. 09/13/2018: We are thankful for the AWS Cloud Credits for Research Award that will support our work on restructuring applications for edge/fog computing. Joint proposal submission with Dr. Liang Zhang. 08/28/2018: Prof. Gorlatova is serving on the TCP of 2019 ACM MobiHoc. 08/20/2018: The Women in Tech Show podcast with Prof. Gorlatova is now available: Edge Computing with Maria Gorlatova. 08/11/2018: Robert Macinnis and Prof. Maria Gorlatova talked to Deloitte’s Digital Chief IoT Technologist Robert Schmid and Digital and Analytics Strategist Kelsey Carvell about the vision of fog and edge computing: Coffee with Ms. Connected and Mr. IoT. 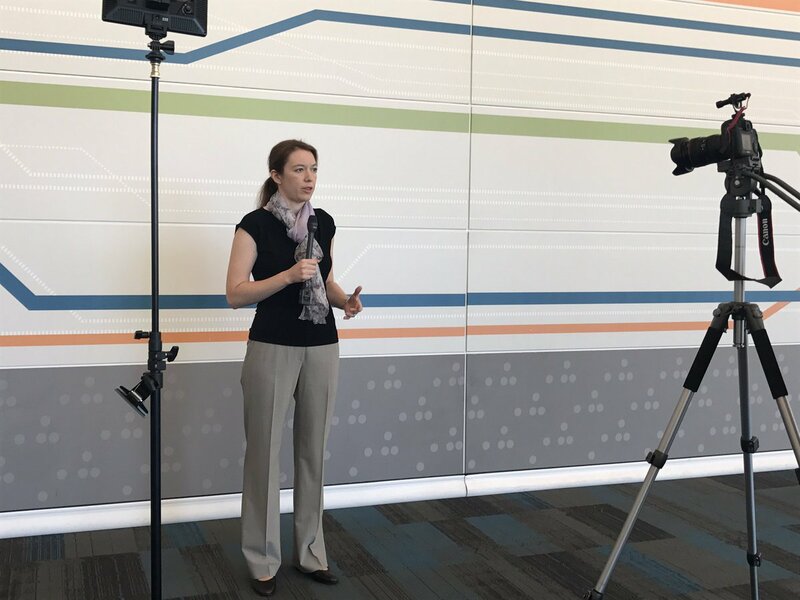 08/01/2018: Prof. Gorlatova attended the 2018 Microsoft Research Faculty Summit in Redmond, WA (invited participant). 05/27/2018: I am thrilled to be joining Duke University Department of Electrical and Computer Engineering as an Assistant Professor in July of this year. 4/05/2018: I am serving on the TPCs of the 2018 IFIP PERFORMANCE and the 2019 IEEE INFOCOM. 12/08/2017: I spoke with Embedded.fm about edge computing changing the world of electronics as we know it: When Toasters Attack. 12/04/2017: Our technical report examining tradeoffs between reliability and latency in placements of control services in heterogeneous fog architectures is now available on arXiv. This work, led by Hazer Inaltekin, is in preparation for a journal submission. 12/04/2017: An article in Multichannel News mentions the work with Comcast Corporation that I am helping Prof. Mung Chiang lead at Princeton University EDGE Lab. 11/27/2017: I am grateful to Google Women Techmakers for supporting the initiatives I proposed for 2018 to connect NYC-area women who work in fog and edge computing. 11/07/2017: Surin Ahn presented her paper titled “Leveraging Fog and Cloud Computing for Efficient Computational Offloading” at the 2017 IEEE MIT Undergraduate Research Technology Conference in Boston, MA. Surin previously showcased parts of this work in a Princeton Research Day poster presentation. 11/05/2017: I gave a keynote talk titled “Light, Motion, Fog: Towards Networking Commonplace Objects” at the ACM ENSsys workshop co-located with ACM SenSys’17. 11/04/2017: Fog Support for Autonomous Driving use case description whitepaper is now publicly available. I helped Hassnaa Moustafa from Intel lead this use case definition effort. Architecture for Fog panel presentation at the IEEE Fog World Congress. 10/01/2017: I served as an Innovation Awards Judge for the 2018 Consumer Electronics Show (CES). 9/07/2017: I gave an invited talk at BAE Systems in Burlington, MA. The title of my talk was “The Most Interesting Part of Cloud Computing: Fog Computing Enabling the Next Generation of the Internet of Things“. 6/22/2017: I gave a talk titled “In and Out of the Fog: Working with Industry to Define New Computing Architectures” at a Princeton Postdoctoral Council Seminar. 6/10/2017: I spoke on the expert panel of the Fog Computing in the IoT and 5G World Forum in Denver, CO. Sharing my thoughts on the future of technology at IEEE WIE ILC. 05/22/2017: I spoke on an invited panel about the future of technology, titled “The Next Frontier: a Spirited (Friendly) Debate”, at the Innovation Track of the 2017 IEEE Women in Engineering International Leadership Conference (IEEE WIE ILC) in San Jose, California, attended by more than 1,200 people. [IEEE WIE ILC speakers]. 5/20/2017: My research is in the news: New Yorker Magazine article “If Donald Trump Were Actually a Battery” mentions my work on human motion energy harvesting, in context of president Trump’s recent comments about the principles of human body as an energy supply. 4/20/2017: I attended DARPA Dispersed Computing (DCOMP) kick-off PI meeting in Arlington, VA. We are contributing to two DARPA DCOMP projects: Network Back-haul Layered Architecture (NEBULA) led by BAE Systems and Dispersed Computing via Successive Refinement and Pricing with Resilience and Scale (DSPRS) led by LGS Innovations. [project award information] [DCOMP in the news] This is the second time I work on large DARPA projects [blog post about my experience and DARPA approach to research]. Speaking on the NYC IoT Central meetup panel [talk video]. 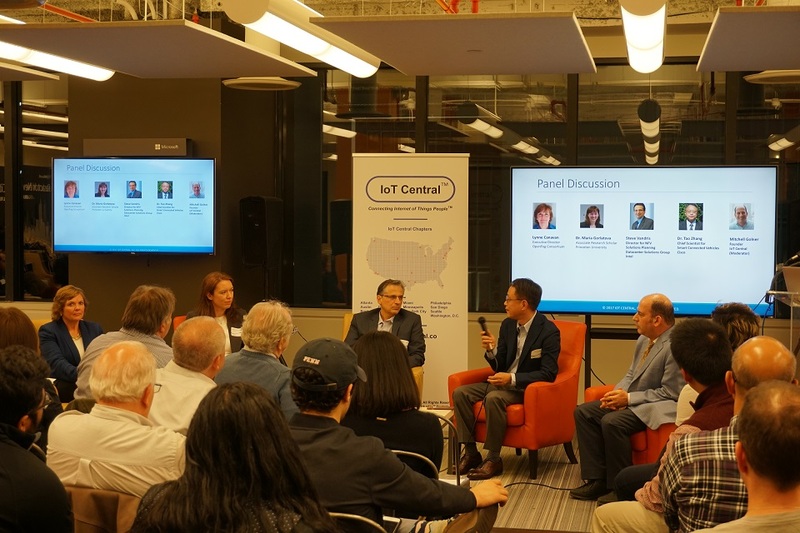 4/19/2017: I spoke on the Fog Computing and IoT panel of the IoT Central meetup in NYC, simulcasted with Austin, TX. [talk video]. 3/03/2017: I spoke on the expert panel of the Fog Computing in the IoT and 5G World Forum in Atlanta, GA.
2/15/2017: I am serving on a National Science Foundation (NSF) proposal review panel. 12/15/2016: I am co-chairing the Internet of Things and Wearable Technology Track of the Grace Hopper Celebration of Women in Computing for the second time in 2017. In 2016 the track was attended by 8,000 people. 10/11/2016: I served as an Innovation Awards Judge for the 2017 Consumer Electronics Show (CES) [meet the judges]. 10/1/2016: I was elected to co-chair the OpenFog Consortium Communications Working Group. OpenFog Consortium is a public-private ecosystem that accelerates adoption of fog computing. The Consortium has over 50 member organizations including Intel, CISCO, Microsoft, ARM, and Dell. 8/12/2016: I joined Princeton University Electrical Engineering Department as an Associate Research Scholar in the EDGE Lab led by Professor Mung Chiang. I am working on defining system architectures for the emerging area of fog computing. 5/15/2016: I am serving on a National Science Foundation (NSF) proposal review panel. 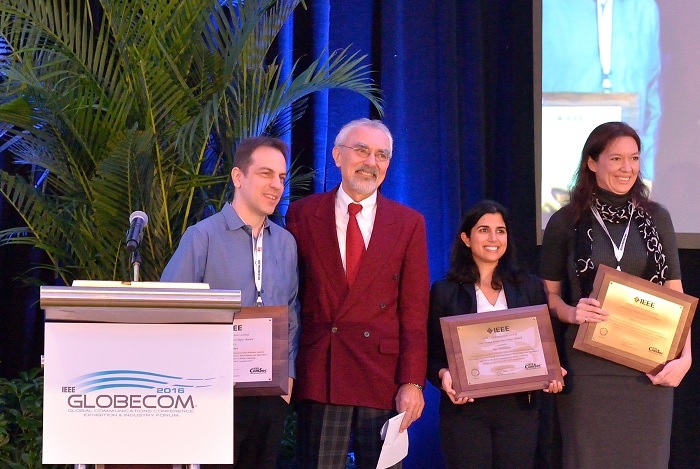 Receiving the award at IEEE GlobeCom 2016. 4/1/2016: I am serving on the technical program committee of the 2017 IEEE Conference on Computer Communications (IEEE INFOCOM). This is my second year serving on the technical program committee of this conference. 3/30/2016: I am co-chairing the Internet of Things and Wearable Technology track of the 2016 Grace Hopper Celebration of Women in Computing. This is one of only 8 technical tracks at a conference that is expected to be attended by more than 15,000 people. 3/15/2016: I joined the advisory board of All [in]spire Health, a start-up which is creating wireless technology for analyzing interactions between patients and their doctors and nurses in healthcare facilities. 3/6/2016: I became a certified Project Management Professional (PMP). 2/1/2016: I joined the board of N^2 Women, a community for women in computer communications and networking, as a Fellowship Awards Co-chair. 1/1/2016: I am serving on the technical program committee of the 2016 IEEE International Conference on Sensing, Communication and Networking (IEEE SECON). 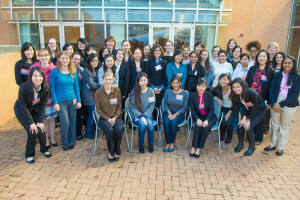 10/20/2015: I served as an invited panelist at the D. E. Shaw Research Summit for Undergraduate Women in Computational Sciences. 10/11/2015: I served as an Innovation Awards Judge for the 2016 Consumer Electronics Show (CES). I judged 2 product categories: wireless handsets and wireless handset accessories. 6/10/2015: Guy Grebla gave an invited talk about our joint work on kinetic energy harvesting for the Internet of Things at the Energy Efficiency and Harvesting for BSNs workshop. 3/28/2015: I am serving on the technical program committee of the 2016 IEEE Conference on Computer Communications (IEEE INFOCOM). 1/13/2015: I served as an invited panelist at the Columbia University Industry Careers Panel, organized by the Office of Postdoctoral Affairs, and attended by ~ 100 PhD students and postdocs from different Columbia departments. The other panelists were from Merck, Regeneron, Lumiode, and Schrodinger. With the other panelists, discussing preparation for industry careers for PhDs. 12/17/2014: Our paper on kinetic energy harvesting for the Internet of Things has been accepted to the IEEE Journal on Selected Areas in Communications, issue on Wireless Communications Powered by Energy Harvesting and Wireless Energy Transfer. Joint work with Guy Grebla and John Sarik. 10/10/2014: Guy Grebla’s poster presentation based on our joint work on kinetic energy harvesting received the Top 10 Poster Award at the Columbia University Postdoc Research and Career Symposium. 8/01/2014: I joined D. E. Shaw Research (DESRES) as an Engineering Program Manager, helping to build supercomputer Anton. 5/24/2014: My Movers and Shakers ACM SIGMETRICS’14 paper is profiled in the MIT Technology Review Business Report: MIT Technology Review article: The Internet of You. 1/7/2014: I joined IBM Corporate Headquarters Business Performance Services group as a Senior Strategy Consultant, focusing on driving the adoption of advanced analytics for major business transformation initiatives. 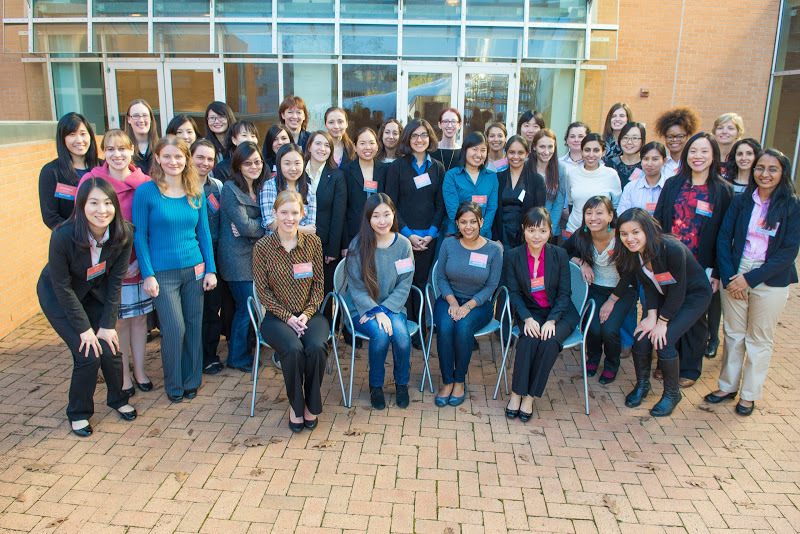 11/6/2013: I attended the 2013 Rising Stars in EECS Academic Career Workshop for Women organized by the MIT EECS Department (invited participant). At the MIT EECS Rising Stars event with the other attendees. Presenting a demo at ACM MobiSys’11. 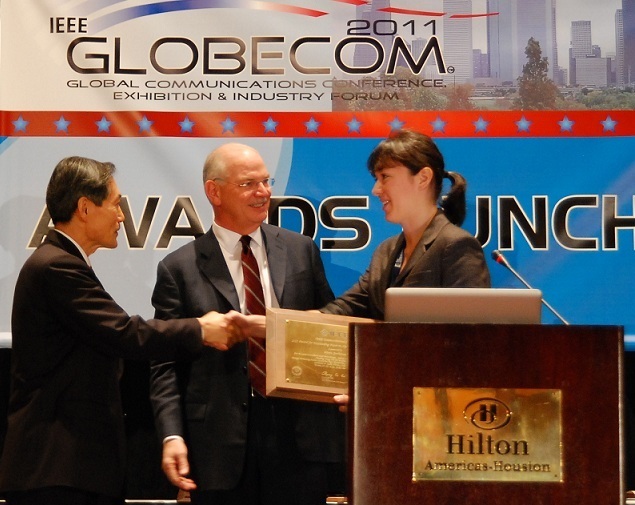 6/28/2011: I received the Best Speaker Award at the ACM MobiSys 2011 PhD Forum. 04/02/2008: I was awarded the Columbia University Presidential Fellowship that fully covers tuition and provides a stipend for 4 years in the Columbia University Electrical Engineering Ph.D. program. 05/01/2007: I successfully defended my M.Sc. thesis titled Wormhole Attack Detection in Wireless Ad Hoc Networks at University of Ottawa, ON, Canada.